Can the government require school students to conform by having them pledge allegiance to the American flag, or do students have sufficient free speech rights to be able to refuse to participate in such exercises? West Virginia required both students and teachers to participate in saluting the flag during exercises at the beginning of each school day as part of a standard school curriculum. Failure on the part of anyone to comply meant expulsion - and in such a case the student was considered illegally absent until they were allowed back. A group of Jehovah's Witness families refused to salute the flag because it represented a graven image they could not acknowledge in their religion and so they filed suit to challenge the curriculum as a violation of their religious liberties. According to the Court, the fact that some students refused to recite the was in no way an infringement on the rights of other students who did participate. On the other hand, the flag salute did force students to declare a belief that could be contrary to their faiths which did constitute a violation of their liberties. Symbolism is a primitive but effective way of communicating ideas. The use of an emblem or flag to symbolize some system, idea, institution, or personality, is a short cut from mind to mind. Causes and nations, political parties, lodges and ecclesiastical groups seek to knit the loyalty of their followings to a flag or banner, a color or design. The State announces rank, function, and authority through crowns and maces, uniforms and black robes; the church speaks through the Cross, the Crucifix, the altar and shrine, and clerical raiment. Symbols of State often convey political ideas just as religious symbols come to convey theological ones. Associated with many of these symbols are appropriate gestures of acceptance or respect: a salute, a bowed or bared head, a bended knee. A person gets from a symbol the meaning he puts into it, and what is one man's comfort and inspiration is another's jest and scorn. This decision overruled the earlier decision in Gobitis because this time the Court ruled that compelling school students to salute the flag simply wasn't a valid means for achieving any degree of national unity. Moreover, it wasn't a sign that the government is weak if individual rights are able to take precedence over government authority - a principle that continues to play a role in civil liberty cases. 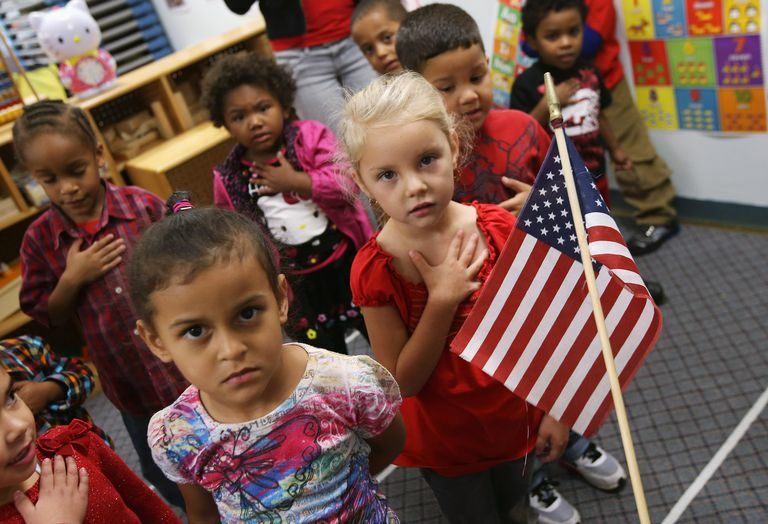 In his dissent, Justice Frankfurter argued that the law in question was not discriminatory because it required all children to pledge allegiance to the American flag, not just some. According to Jackson, religious liberty did not entitle members of religious groups to ignore a law when they didn't like it. Religious liberty means freedom from conformity to the religious dogmas of others, not freedom from conformity to the law because of their own religious dogmas. This decision reversed the Court's judgment three years prior in Gobitis. This time, the Court recognized that it was a serious violation of individual liberty to force an individual to give a salute and thereby assert a belief contrary to one's religious faith. Although the state might have a certain amount of interest in having some uniformity among students, this wasn't enough to justify forced compliance in a symbolic ritual or forced speech. Even minimal harm which might be created by lack of compliance was not judged as great enough to ignore the rights of the students to exercise their religious beliefs. This was one of quite a few Supreme Court cases that arose during the 1940s involving Jehovah's Witnesses who were challenging numerous restrictions on their free speech right and religious liberty rights; although they lost a few of the early cases, they ended up winning most, thus expanding First Amendment protections to everyone.